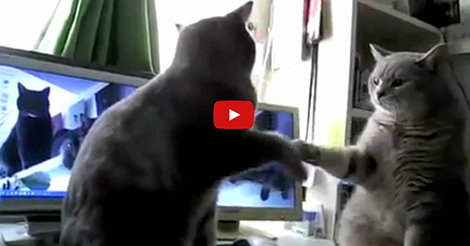 Ever wondered what cats were saying when they are playing Patty-cake? Your imagination will be now be voiced out. These two guys dubbed the cats conversation. I bet it’s not far from what the cat actually saying to each other. Also… these two cats seems to be aware of the surroundings. When they realized that they were being filmed, they stopped their kitty cat fight for a while. But when their owner pretended to divert its attention, their cat fight resumes. What a sneaky cats we have here! This video cracked me up. 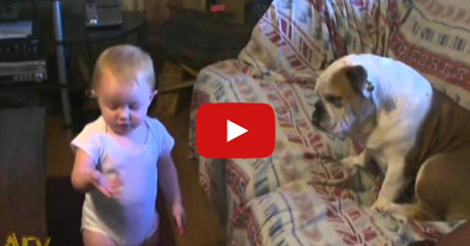 The voice over is perfect and goes along great with these two cats playing “patty-cake”. COMMENT with a story of your kittys! This Bride Turns Her Back To The Audience In The Middle Of The Father/Daughter Dance. The Reason Is So Cute!